Since 1987, Drury Design has been at the forefront of luxury home remodeling, bringing an artistic touch to Chicagoland homes. Led by President and Creative Director, Gail Drury, a Certified Master Kitchen and Bath Designer, Drury Design's talented staff of professional designers assist individual homeowners with their plan, and create ideal spaces in a broad range of budgets with a client-focused design™ approach, expert installation, and project management services. 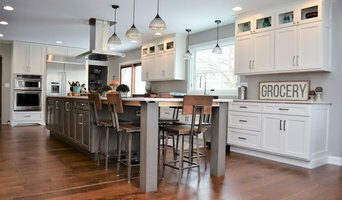 Located in suburban Glen Ellyn, 25 miles west of Chicago, Drury Design serves Chicago area clients with custom kitchen, bathroom and other design and remodeling projects. The 8,500 sq. ft. design studio features full-size room vignettes featuring a multitude of on-trend design styles and materials for inspiration and reference. Drury Design’s artistic home design projects grace thousands of Chicago-area homes and have earned the acclaim of both clients, design peers and the press. 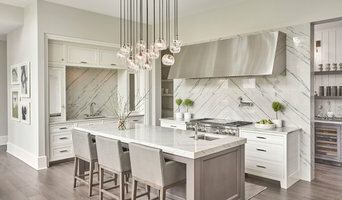 Drury Design has been honored with over 80 kitchen and bath design honors since 1998, including most recently: *2018 NKBA Chicago Midwest Design Vision Awards- Best of Show, Most Dramatic Makeover, Best Large Kitchen Before & After, Best Medium Kitchen Before & After, Large Bathroom: 1st Place, Large Bathroom: 2nd Place, Large Bathroom: 3rd Place, Medium Kitchen: 1st Place, Medium Kitchen: 2nd Place *2015 North American NKBA Design Competition 1st Place - Best Large Kitchen Design AND Best of Show - <a rel="nofollow" target="_blank" href="http://www.houzz.com/projects/968532/spicy-contemporary-award-winning-kitchen-remodel-chicago-il">http://www.houzz.com/projects/968532/spicy-contemporary-award-winning-kitchen-remodel-chicago-il</a> *2014-2019 Best of Houzz Winner *ASID 2014 Design Excellence Awards - First Place: Best Singular Space - <a rel="nofollow" target="_blank" href="http://www.houzz.com/projects/647779/rec-room-re-imagined">http://www.houzz.com/projects/647779/rec-room-re-imagined</a> *ASID 2014 Design Excellence Awards - First Place: Best Kitchen Design - <a rel="nofollow" target="_blank" href="http://www.houzz.com/projects/302100/multi-cook-kitchen-make-over-burr-ridge-il">http://www.houzz.com/projects/302100/multi-cook-kitchen-make-over-burr-ridge-il</a> *Trends Publishing - Top 50 American Kitchen for both 2012-2013 and 2013-2014. Contact us to schedule a no-obligation design consultation in your home to discuss your upcoming kitchen, bath or other room projects. Large or small, remodel or new home - we'd love to hear about your project goals and ideas first-hand and answer your questions. Click on the contact me button and tell us about your project and we will respond promptly. Since 1981, our vision at Abruzzo Kitchen & Bath has been to build an outstanding team of creative designers and professional craftsmen to deliver exceptional design. We’re very proud of what we’ve accomplished and always strive to improve our craft. We’re recognized nationally as a top full-service design firm, with artistry that extends beyond the kitchen to every room in the home. We’ve built close relationships with our manufacturers to bring you high-quality products and service. And, as the nation’s top Wood-Mode cabinetry dealer, Abruzzo Kitchen & Bath proudly partners with a company that shares our commitment to top quality and exceptional service. At Abruzzo Kitchen & Bath, our award-winning designers provide personalized consultation as they guide you through the design process, collaborating with you to create an extraordinary design. Our in-house installation team works hand-in-hand with our designers, while our project management team oversees every detail to create a seamless experience. Whether it’s a full kitchen remodel, the bath of your dreams, an indulgent dressing room, or a masterful library, we bring real value to every project. Our goal is to deliver every project on time and on budget. We strive to exceed your expectations, every step of the way, to achieve the design of your dreams. Kitchens | Bathrooms | Home Renovations | Additions | Historic Renovations | Interior Design | Project Management The design team at KitchenLab Interiors brings passion and enthusiasm to the table for every single client. Working relentlessly achieve the best combination of function and stylish living. For us, good design isn’t just about how beautiful a room looks, it’s about how a space feels. We want our clients to feel like they have the best seat in the restaurant or study or living room, in their own home. We strive to create spaces that make people feel welcome, spaces that people don’t want to leave. 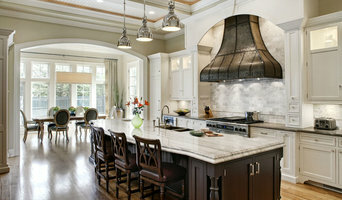 KitchenLab Interiors' approach has been refined by years of working on older home renovations. We listen to our client’s and to the home itself, looking for details, proportions and other cues that make our renovations look and feel seamless while at the same time creating interiors that are elegant, comfortable, and timeless. For us, the kitchen is our lab, our living room… it’s where the music is always on, where we break bread and drink wine with family and friends, where we plan and dream – the most creative space in our homes. This is where most of our renovation projects begin, and radiate throughout the rest of the home. Our projects range from kitchen and bath renovations, to full home remodels and additions. We function like a design-build firm with the “build” part being done by highly vetted independent general contractors that we bring to the table. Typically, we are the first in and the last out on a renovation. KitchenLab Interiors' projects have been featured in House Beautiful, Luxe Interiors + Design, Food + Wine, Chicago Tribune, Chicago Home + Garden, CS Interiors, Renovation Style, Kitchen and Bath Ideas, Better Homes and Gardens, Country Living, Midwest Living, Dering Hall, Houzz and HGTV. Our combined backgrounds in fine art, interior design, hospitality, and real estate is the dynamic that we bring to our client’s projects. The company’s founders, Rebekah and Nick, met working in the restaurant business and they view hospitality as a core principle that influences everything that’s done at KitchenLab Interiors. DDK Kitchen Design Group is a full service company specializing in custom kitchens and baths. DDK also designs customized wall units, offices and entire basements. Family owned and operated by Dan Thompson for 40 years in Chicago's north shore communities. Here at DDK you will be taken care of from the start of your project until installation is complete. We have dedicated experienced designers that sit down and hear your needs. Your designer will walk you through the process of picking cabinet styles, wood species, stains and paints. After the perfect layout and design, your designer will stay with you until your project is finished. DDK has been partnered for the last 35 years with the same skilled installers. Please stop by our showrooms in Glenview or Wilmette to browse over 40 displays to excite your imagination. We have all the styles and trends at your finger tips. 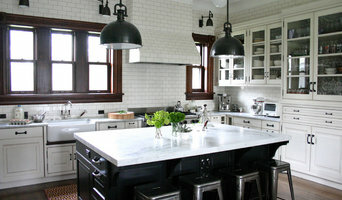 PB KITCHEN DESIGN IS THE MOST POPULAR CHICAGO AREA KITCHEN DESIGNER ON HOUZZ! Winner - First Place in the 2014 National Kitchen and Bath Association's annual Design Competition - PB Kitchen Design (a division of Past Basket Inc.) is a Chicagoland kitchen design firm that has been making its mark on the industry for over two decades. We continue to delight our clients by applying innovative thinking, problem-solving knowledge, and precise technical expertise to their unique kitchen and living space challenges. Our initial consultation is free. It’s personal from the start. We get to know you, your tastes, and your style. From there we plan every detail with an uncompromising eye on the highest quality and an unwavering commitment to craftsmanship. We create a work of art, which is distinctively yours. In the end, our success is measured by our ability to exceed your expectations. In business for 25 years, Lemont Kitchen & Bath, Inc. is an award winning kitchen and bath design, and residential remodeling company. During that time, our goal has remained the same; Help our clients realize their dream space while providing outstanding customer service every step of the way. Each project at Lemont Kitchen & Bath begins the same way: by listening. We listen, observe, and educate. It is, ultimately, a compilation of those things that bring a project to life More that just Kitchen and Bathroom design, we can handle nearly any room in the home. Be it a Laundry room, Closet, Entertainment room, Bar, Mantle, Home office, Bookcases, and more, Lemont Kitchen and Bath can help you achieve your dream space. Our showroom is located at 106 Stephen Street in Historic Downtown Lemont, a suburb of Chicago. Elkay offers high-quality innovative plumbing products and seeks to heighten the customer experience through ingenuity. Our sink product line includes stainless steel, quartz, fireclay, and antique hammered copper. Additionally, our faucets come in beautiful finishes to coordinate with your sink, and offer convenient features that make tasks more effortless. Complete your sink with accessories such as custom bottom grids, cutting boards and rinsing baskets. Elkay products are designed to make your daily routines easier so you have more time to do the things you love. We are proud to be America's No. 1 selling stainless steel sink company. Whether you need to replace existing cabinetry, need a more functional kitchen or bathroom design, countertops or even custom furniture, our staff looks forward to creating with you the home transformation of your dreams! Our extensive product selection offers affordable solutions for every room in your home. No project is too big or too small. We have a variety of options for every style and budget, which we can discuss with you during a complimentary consultation. If you decide to work with us on your project, our services include: an in-home measure, design guidance, material estimates, project renders and project management. Should you need a contractor to install your cabinetry, we can provide recommendations from our network of contractors. Our Chicago showroom has many kitchen and bathroom cabinets and countertops on display, representing all of our excellent product lines. Start your AKB Team experience today and let us know what brings you to Andersonville Kitchen & Bath! In addition to our superior design services, we also house a specialty retail boutique boasting kitchen, bath and miscellaneous home accessories, gadgets and decor. Please visit www.AKBchicago.com for more information! Authorized Dealer For: Dura Supreme Cabinetry, Merillat Cabinetry, Wolf Cabinetry, Silestone Quartz, Dekton, Caesarstone Quartz, Cambria Quartz, Han Stone Quartz. *Authorized Dura Supreme Cabinetry Dealer* *Authorized Holiday Kitchens Cabinetry Dealer* At Kitchen Design Partners (KDP), we focus on your lifestyle and needs to create exquisite designs that balance style and function. Whether you are planning a kitchen remodel, room addition, or new home, we'll translate our expertise and passion for kitchen and bath design for your Chicago area home. Since 1972, Creative Mirror & Shower has been Chicagoland's leading glass and mirror company. Family owned and operated, our reputation is built on delivering superior quality, expert craftsmanship, and outstanding values. Our glass products are manufactured in our company owned glass fabrication plant with state of the art machinery and expert craftsmen. AWARD WINNING SHOWROOMS: In addition to our powerful website photo galleries at www.CreativeMirror.com, we feature two award winning showrooms in the Chicagoland and surrounding suburbs. Our 20,000 S.F. Factory Showroom in Addison, IL is one of the largest and most prestigious glass and mirror showrooms in the country. Our downtown Chicago Design Center won the Crystal Achievement award for the nation’s best glass showroom. Showroom hours, directions, and other details are listed on our website. ASID DESIGNER EXPRESS SERVICE: Exclusively offered for ASID Interior Designers, we make it a priority to offer special programs and dedicated support staff to make sure your client’s needs are met. If you are an Interior Designer, please ask about our Designer Express Service. FREE DESIGN CONSULTATION WITH A PRODUCT KNOWLEDGE EXPERT: A beautiful custom glass installation starts with proper construction. Our Product Knowledge Experts are available to work with you on your project from initial design concept to project completion. Creative Mirror & Shower offers a FREE In Home Design Consultation that includes very important professional advice before you complete construction. In additional to great advice and helpful design ideas, you always get a professional written estimate with $100 internet savings backed by our low price guarantee. Convenient appointment times days, evenings & Saturdays. For over 28 Years DI has inspired & created Luxury Kitchens, Baths, Condos, Additions & Custom Builds. We are a full service Design, Build & Remodeling firm, providing a seamless process. Offering a full range of design services our designers are skilled & experienced in all design styles, materials & aesthetics. Our unique design talent is combined with our passion to capture the essence of the client's dreams and visions. We pride ourselves in our ability to get to know our clients and design interiors befitting their lifestyle. Quality construction and most importantly client satisfaction is our top priority. Our Remodeling Design Consultants have combined over 100 years of successful design & remodeling experience giving us the greatest potential to get your design and project right the first time. Who We Are Dynasty Innovations is locally owned & operated remodeling firm Established in the Chicago area in 1991. We are an A+ Rated company with the Chicago Area BBB and are recipients of Houzz Of The Year Award for outstanding customer service for the past 5 years. The Dynasty Difference! We are committed to delivering top-of-the-line customer service & quality workmanship for each & every aspect of your project from start to finish, going the extra mile to ensure that all of your needs are achieved. We believe team collaboration & timely communication are essential in completing projects seamlessly. We know what works & what doesn't, we know what to prepare for and how to accurately estimate expenses & successfully complete your remodeling project on time & on budget. At Catherine Schager Designs, we listen closely to our client's dreams about their home. We listen to how you want to live in your home, what's important to you, what makes you feel comfortable. We start there, with your dream and work with you to make all the right decisions to achieve your dream. We're your guide, your advocate, and sometimes a task master (!) Together, we'll create the home you love to return to every day. We specialize in kitchens, baths, and renovations of all sizes. One room or a whole house - we're here for you. Call us. What does a Saint John kitchen designer or bathroom designer do? A kitchen and bath design professional in Saint John, IN knows to take all of these crucial points into consideration and can help plan the layout, materials and overall look and feel of either of these rooms in your home. Kitchen designers, as well as bathroom designers, are constantly staying on top of trends in the ever-changing industry. The designer also knows the best layout for your room, and can configure the layout for optimal functionality and utilization of the space. In the kitchen the refrigerator, stove and sink should be laid out in relation to one another, and it should be seamless and easy to move from one to the other. A Saint John kitchen and bath designer will know how to work with a contractor and architect to plan the flow of the room to work best for your needs. Here are some related professionals and vendors to complement the work of kitchen & bath designers: Kitchen & Bath Fixtures, Appliances, Tile, Stone & Countertops, Cabinets & Cabinetry, Woodworkers & Carpenters. Before you talk to bath and kitchen designers in Saint John, IN, consider how you will use the room. For your bathroom, is it necessary to have a bathtub for bathing kids or pets, or would a shower suffice? Perhaps all you need is a half bath for downstairs or a smaller guest bath for occasional use. Similarly, for kitchen renovations consider your cooking habits. Do you eat out every night but need a space to entertain in? If so, a smaller kitchen might be fine for you, with a space devoted to wine storage or a bar, whereas others might prefer a bigger stove or extra cabinets. When interviewing Saint John kitchen and bath designers, make sure to share these habits so they can best fit the room to suit your needs. Find a Saint John kitchen designer or bathroom designer on Houzz. Narrow your search in the Professionals section of the website to Saint John, IN kitchen and bath designers. You can also look through photos in Saint John, IN to find a kitchen or bathroom you like, then contact the professional who designed it.